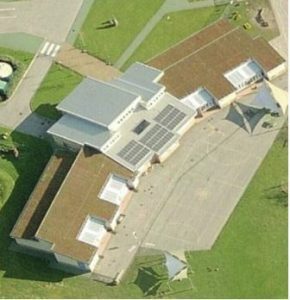 St Jeromes School in Formby is a school with a very strong focus on sustainability. It has a wind turbine and solar panels that contribute to its power supply, a rainwater harvesting system and is even constructed from renewable materials. When faced with needing to replace their dated, slow computer systems, the school was keen to find a solution that would improve their classroom performance. With escalating energy bills, they continued to look for ways to gain further energy efficiencies and were conscious of the increasing energy demand that new computing technologies would introduce. 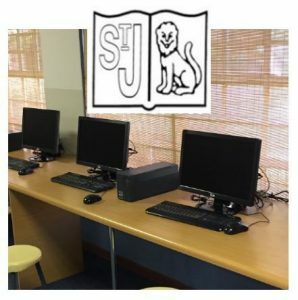 The ELe® solution team installed 24 high performance Intel® Celeron® dual-core PCs at St Jerome’s, all with 19” low energy widescreen displays, operating on Windows 7. As the computers have no fans or moving parts, they require less energy for cooling and create minimal heat. This, along with the elimination of the AC/DC power conversion process, significantly reduces any system failures and future maintenance requirements. The PCs also run completely silent removing any distracting background noise. quieter more ambient environment, productive classroom time has noticeably improved. Compared to the running of their previous PCs, energy consumption has significantly reduced. The new low energy screens run at just 20-25W compared to 170-190W of their previous ones. The school’s complete desktop ICT solution now runs on less than 500 Watts – the equivalent of 3 or 4 of their old PCs. As a result of the ELe® installation, St Jerome’s has been able to make considerable improvements in their computing capability while combating the impact of rising energy costs.